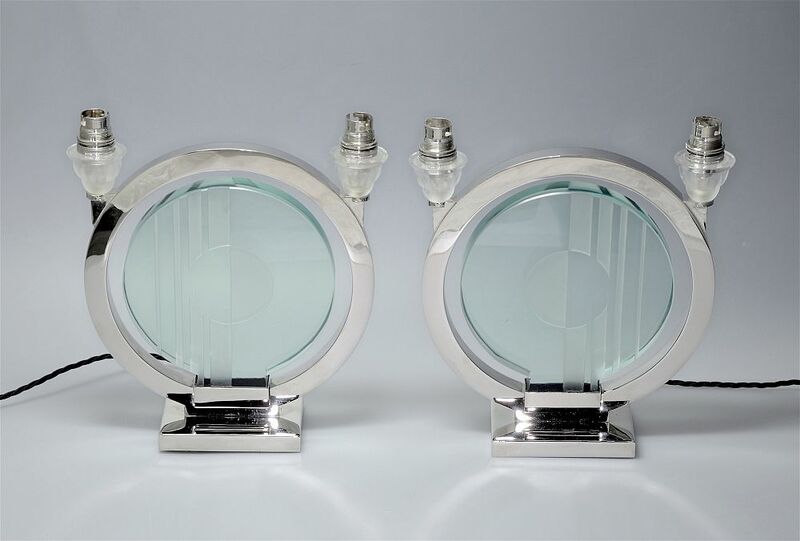 This fabulous pair of Art Deco lamps are French. 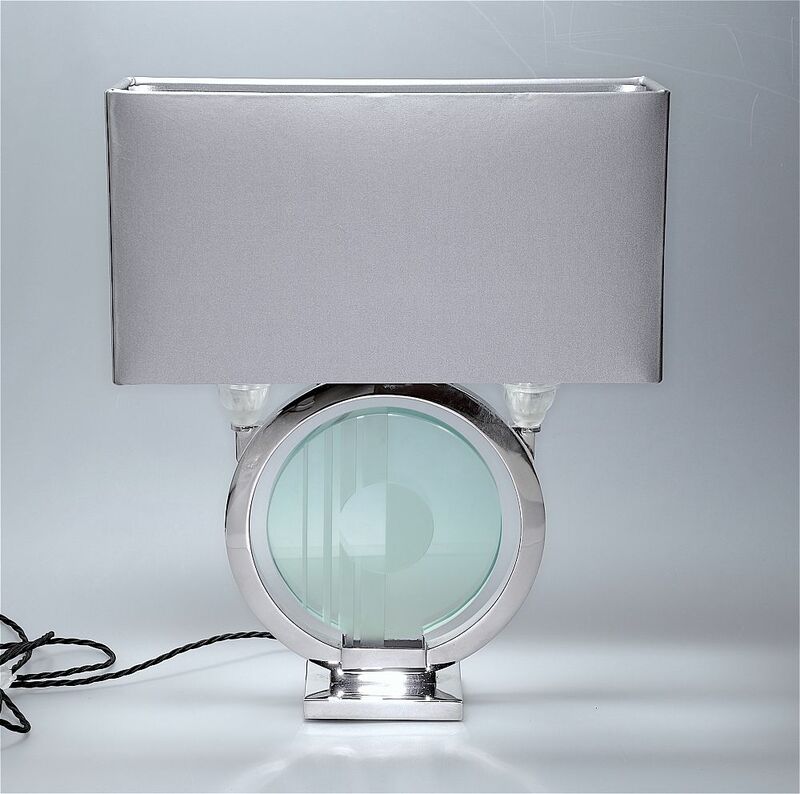 Each lamp has a rectangular chrome base supporting a circular nickel plated frame with frosted glass sconces with chrome bulb holders on each side of the top. In the centre of the frame is a thick glass disc that has been cut and frosted with a geometric pattern. These glass discs are a later addition.